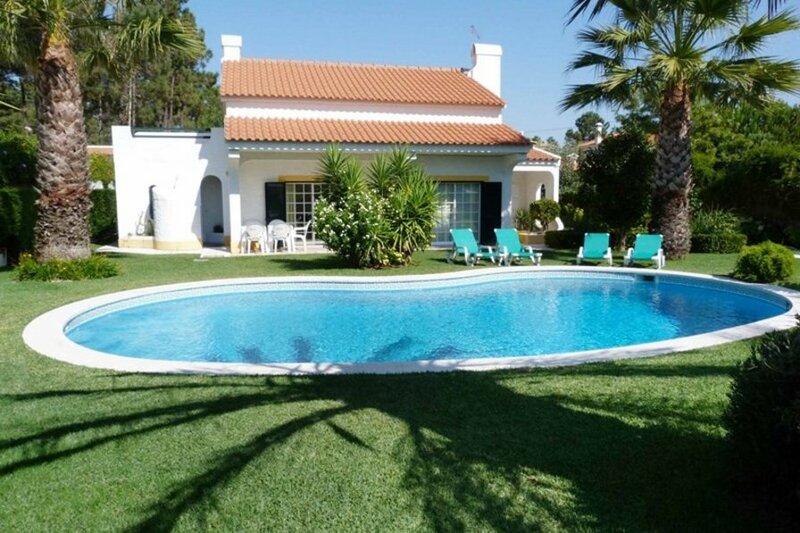 Typical Portuguese-style villa for 8 guests, located in Aroeira Golf Resort, only 25 km south of Lisbon. This lovely house offers 4 bedrooms, a pool table, a nice swimming pool o 7 m x 5 m, and an outside dining area with a barbecue for gatherings in the air. The garden invites kids to play on the grass. Inside the resort guests have access to two 18-hole championship golf courses (Aroeira I and Aroeira II), four tennis courts, a spa and a healthcare center, a communal Tropical swimming pool, a playground, a shopping center, bars, snack-bars, and restaurants. Aroeira is surrounded by a stretch of 30 km of the best beaches in Portugal. About 800 m away from the villa there is a shopping area with a small supermarket, cafeteria and bar. Just behind the villa, there are tennis courts. Around 3 km away, there is a bigger supermarket, a few restaurants and Aroeira golf resort with two 18-hole championship golf courses (Aroeira I and Aroeira II), four tennis courts, a spa and a healthcare center, a communal tropical swimming pool, a shopping center, bars, snack-bars and restaurants. Verdizela is surrounded by a stretch of 30 km of the best beaches in Portugal, starting from the lively beaches near the center of the village Costa da Caparica, to the almost deserted beaches of the south area, ideal for water or sand sports. Less than 5 km far, you have beach bars and small restaurants specialized in grilled fish, some of them with wonderful terraces to enjoy the sunset. There is a wide range of beach bars that after nightfall turn into discos or live music bars.